It must have been the colour, or maybe the contrast between the electric green bodywork, the red stinger missiles and the white of the snow and ice, but Zao’s Jaguar stole the scene from 007’s silver and erm, see-through, Aston Martin. 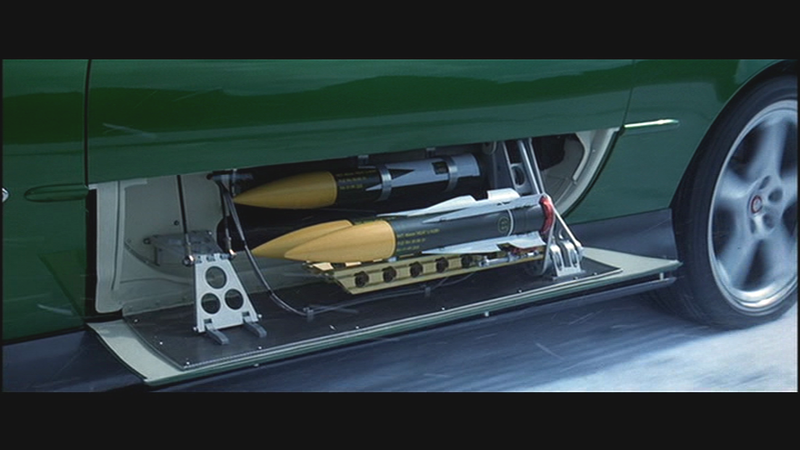 It was surprisingly, the first time there has been a gadget and device loaded car chase scene in a Bond movie. Mostly, it has been 007's well-equipped vehicles that see off random henchmen cars. And in an echo to the underwater ballet fight scenes of Thunderball, this effects-laden car chase was every bit as stylish and poetic. 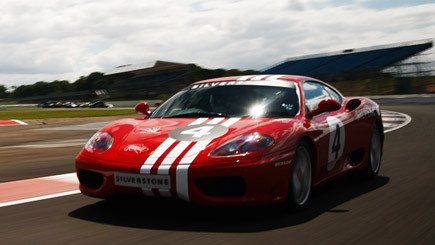 The special effects vehicle sold at rmauctions in 2010 for just £56,000, and the catalogue listing included some details of the vehicle’s modifications. It had a Ford Mustang V8 engine, a Ford Explorer front suspension unit, flared rear wheel arches to include 20 inch road wheels. It was one of four built for the ice chase scene and included: A Gatling Gun mounted on the rear boot, stinger missiles that were fired from the front grille, rocket launchers in the doors and mortars in the boot. 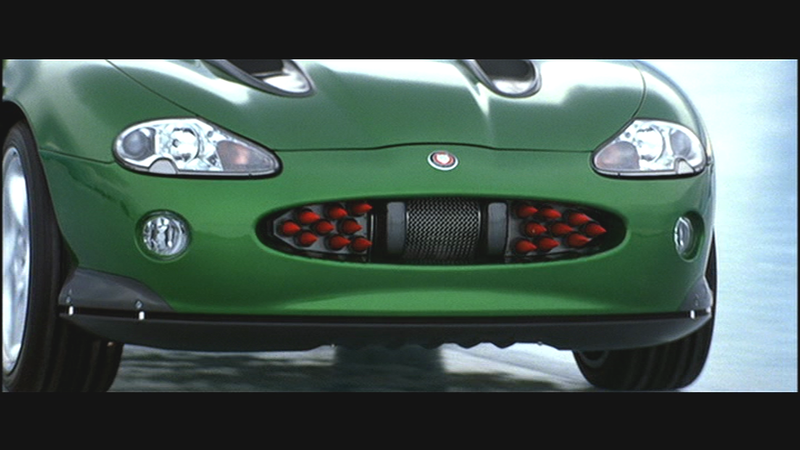 Jaguar Cars worked with the Pinewood Studios special effects team to modify and prepare eight cars for filming. Four were standard two wheel XKRs, but the four ice chase cars were built on bespoke four wheel drive chassis. The striking green colour of the vehicles was the same colour as the Jaguar Formula 3 team. 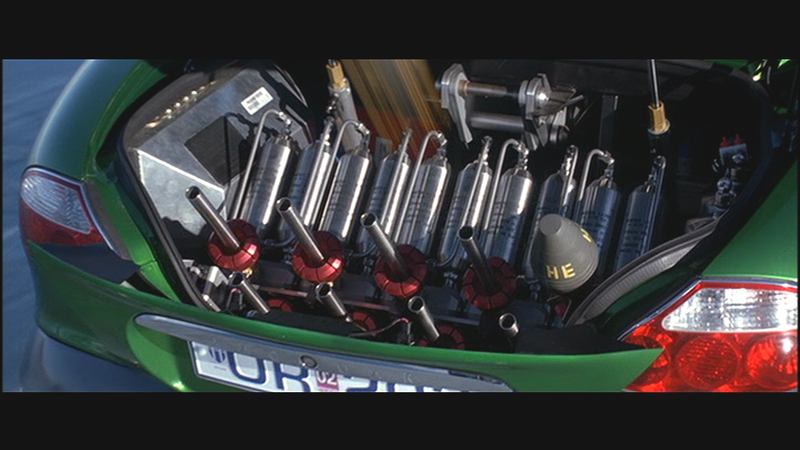 The strange thing about the car was despite the alterations it did not have those deflate / inflate spiky traction wheels that were available on the BMW in Tomorrow Never Dies. The Vanquish did though. Bond eventually found them and presumably cursed himself for not reading the manual. You can own your own die-cast model of the Jaguar XKR Roadster (1:18 scale by Ford), which also comes with the similarly replica gadgets and devices. It is nine inches long and the gadgets are revealed by opening parts. The steering wheel also moves.